Since my last blog, another opportunity presented itself to me. 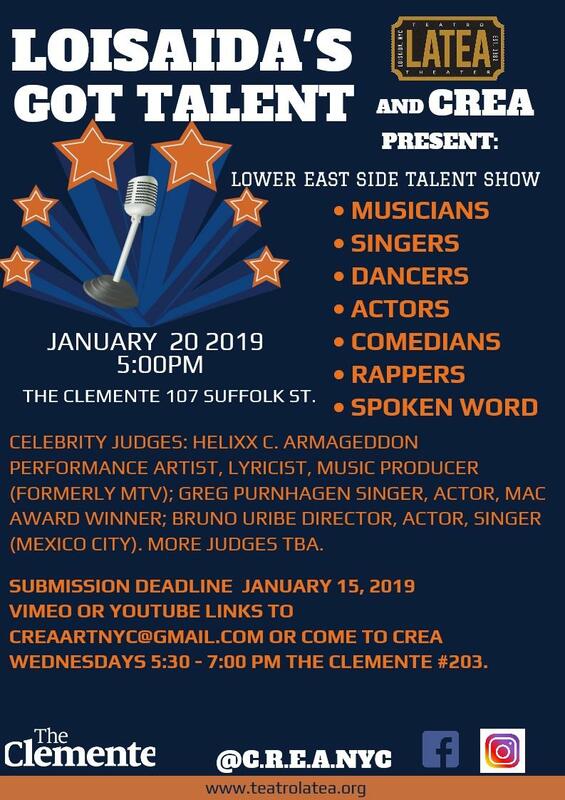 Loisaida’s Got Talent offered me a slot in their show. Preference was given to the residents of the Lower East Side, and I still was accepted. The Bronx and the Lower East Side are not so different. Feels like part of the family. My grandparents grew up down there. My grandmother shared a public shower with a woman named Sally. Sally introduced her brother Charles to my grandmother. He and my grandmother eventually got married. Then many years later, they raised me in the Bronx. I heard some of their stories that became part of me. So the Lower East Side feels like part of the Bronx to me. Getting the news was definitely a boost. Woo woo! rescheduled, but as of now, it is for this Sunday! 5pm. My L.E.S. peeps, consider coming on over. 107 Suffolk Street. cheer me on. There will be several winners. The celebrity judges will deliberate after the show. Of course it is nerve-wrecking, but it is also exciting! and as an instructor, I want to focus on what’s going right. 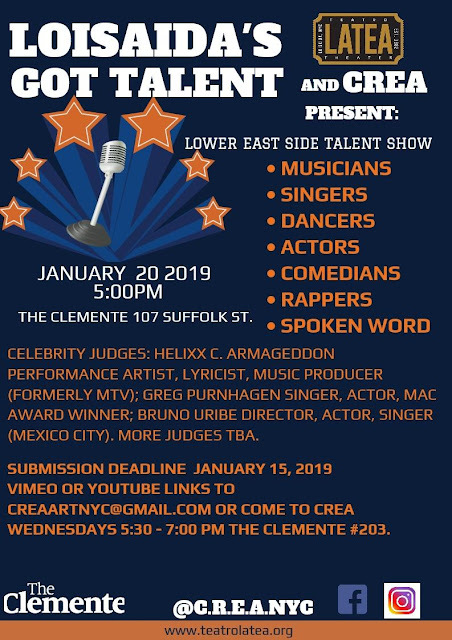 So being accepted into both Loisaida’s Got Talent and New York’s Got Talent is a very welcoming start to 2019 in terms of my comedy. Congrats and break a leg! Thank you all -- known and unknown. I am happy to receive your faith and good wishes. Yikes. I hope I have good news for you next time. Thanks, folks -- Lisa, Rhonda, Danielle, Susan, Aaron. Denise! So glad you got my email. 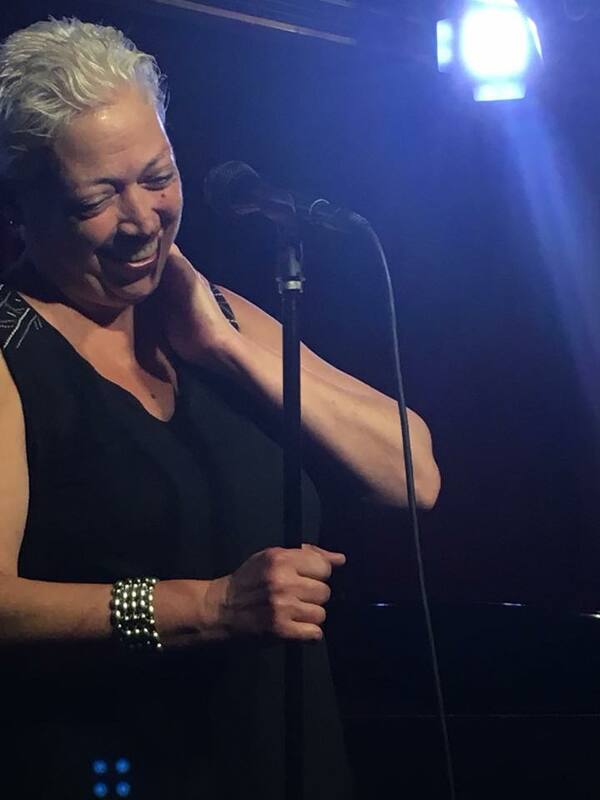 It is going to be Sunday, 1/20 at 5pm. But there will be other times, other shows. I'm so glad to hear from you!! !